There are many siding contractors in Michigan and actually many fly by night companies that offer siding installation. And while some of these companies may know how to install the siding and make it look amazing, there are also many companies that can’t deliver the work professionally. Knowing what to look for with a siding contractor in Michigan is a must if you want the best siding project done to manufacturer’s specifications and looking great. I’ll go over some of the things you’ll need to look for when getting siding installed on your home and what to look for in a siding contractor in Michigan. When it comes to your home there are lots of things that work together to protect the interior of your home and your family. Items like the roofing works because it has a strong under-layment in place to give it rigidity and structure. Adding siding to your home without certain things in place may allow the siding to look bad and not perform as it should in protecting your home from damage. Hiring a siding contractor in Michigan that knows how to properly install siding and make sure it’s done right is key to getting the siding you want installed correctly so that it protects your home. For siding materials there is usually a warranty that is attached to the siding materials. This warranty will usually be based on the quality of the siding that is installed. So lower quality materials will likely mean a lesser warranty on the product or without any warranty at all. In order to get longer warranties on products and materials you’ll need to buy higher quality products that have better warranties. One thing you’ll need to discuss with your siding contractor in Michigan is how to apply for these warranties and what sort of warranty is issued with the project. Some siding contractors will offer a full service warranty on products and labor. Be sure to inquire about these warranties and guarantees when speaking with the siding contractor in Michigan. Usually after heavy storms and problems in the area there are contractors from out of state that come to help repair damages and rebuild properties. While this is great to have a helping hand when needed it’s also a bit problematic in the long run if the project isn’t done correctly. Hiring a local siding contractor means you’ll be able to get in touch with the siding contractor if there is a problem down the road. It’s likely they keep a copy of siding material choices you’ve made and can also give you better service if you even need repair of the siding that is installed. You’ll also want a siding contractor that is experienced and can help you determine what the project will look like when it’s complete. Too many times, there was siding installed on bad surfaces that turned out really bad. An experienced siding contractor in Michigan can help you choose the perfect siding for your home. Hiring a local siding contractor means you’ll be able to get in touch with the siding contractor if there is a problem down the road. If you’re considering installing siding on your home be sure to first get a quote for the siding which includes details about the siding and the cost of the project. 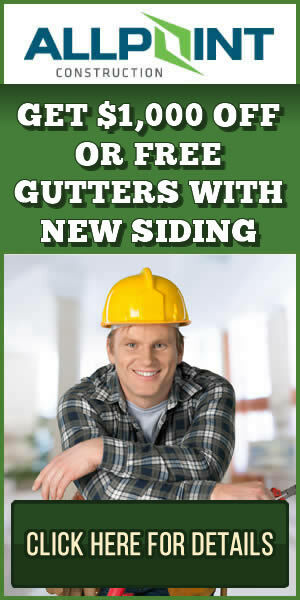 At Home Pros Plymouth they offer a free estimate on the siding of your choice.